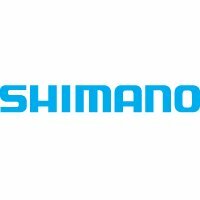 Shimano Tiagra-quality replacement cup and bearing set for 2-piece Shimano cranksets. Suitable for any Shimano road bike cranksets with integrated 24mm diameter axle. Aluminium cups with cartridge sealed bearings for fit-and-forget reliability. Fits 68mm bottom bracket with British Standard threads. Weight: 93g based upon weighing one set of Shimano BB-RS500 Bottom Bracket Cups at Edinburgh Bicycle Co-op HQ in July 2015.